For those heading to Maui to experience the best of Hawaiian paradise, no trip is complete without a surf session! Never surfed before? No worries! 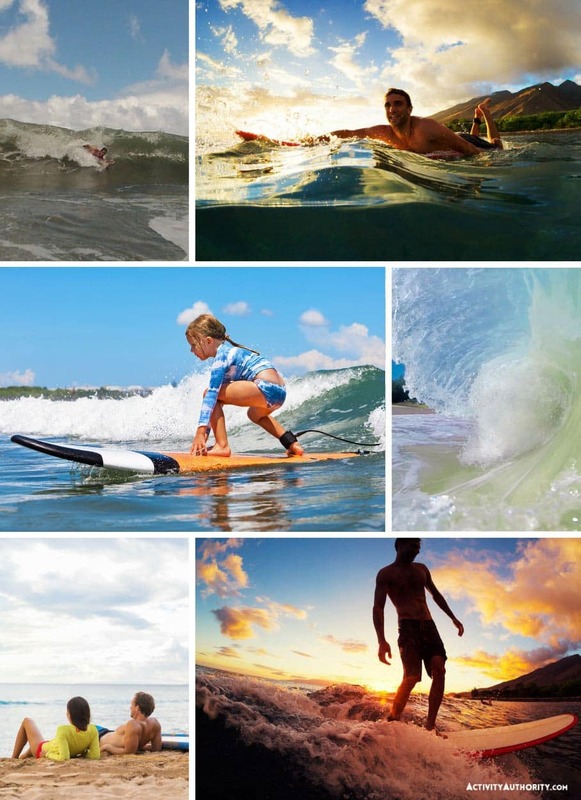 Maui surf schools are run by enthusiastic Maui surfers with a whole lot of patience, passion, and fun. Your instructor shares his/her love of the ocean by offering private and group surf lessons at some of Maui’s most scenic locations. While you likely won’t be riding ‘Jaws’ anytime soon, your surf instructor will show you how to improve your existing skills or get you on your very first wave! Group Maui surf lessons are inexpensive, run around 2 hours, and have at most 6 students per instructor. Private Maui surf lessons allows 1 on 1 instruction for those looking to progress as fast as possible. Each lesson begins with a detailed ocean safety briefing and lesson on the land. You’ll know the essentials before entering the water. Regardless of what kind of lesson you choose, you’ll have a great time. Your instructor will offer excellent advice without taking things too seriously. It has to be fun or it’s not worth it! My whole life I have lived in Seattle, WA. Near the water, but always murky and the thought of “surfing” was out of the question. Pictures of surfboards and Hawaii cover the walls of my room, and Seashells take up the space on my desk. Life on an island was always my life long dream. I am 21, and my best friend invited me to go to Hawaii with his family. I was ecstatic. Finally, I get to see what Maui was all about. I walked off the plane and felt like I had walked in to a dream. The wind was calm and the heat surrounded me like a warm blanket. I immediately fell in love with the cars that carried surfboards on them and the slow pace of everyone. I come from a stressful, fast-paced work environment at college and the busy streets of Seattle where no one stops to enjoy the small things in life. Learning to surf was one of the best things I’d done. On this trip, I stopped to enjoy waves and how they pushed me to shore on the big foam boards they gave us, the funky taste of drinking out of a coconut and lastly, being in the presence of a waterfall. I met the Twin Falls after hiking about 15 mins. I dipped my feet in to the water, swam out and let the power of the water drizzle on me. Right then and there Maui taught me a life long lesson, to take a step back from everything, look at whats been handed to you and enjoy life.